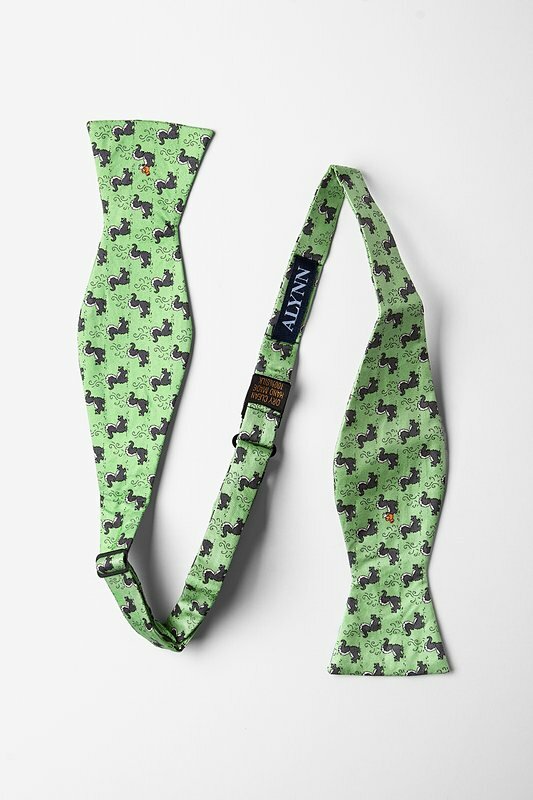 Alynn Neckwear's Lil Stinker Bow Tie is a great choice for the light-hearted jokester. 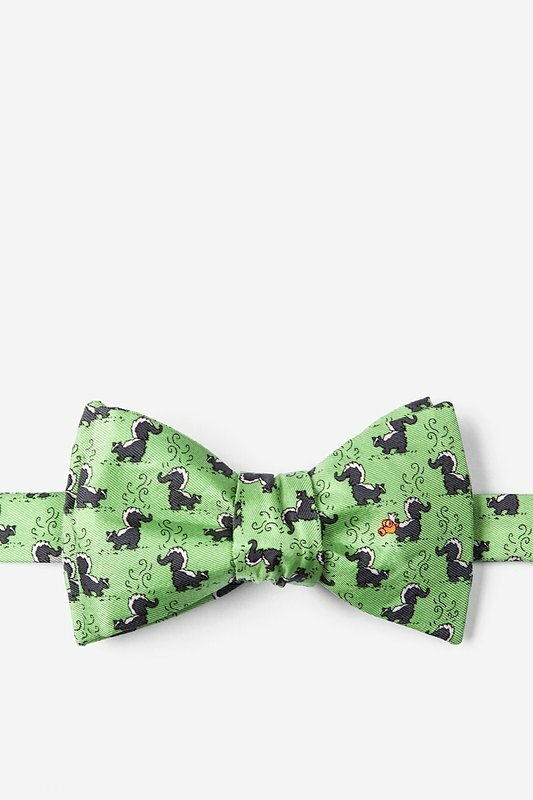 It's classic green background with miniature skunk print makes this 100% silk... read more Alynn Neckwear's Lil Stinker Bow Tie is a great choice for the light-hearted jokester. It's classic green background with miniature skunk print makes this 100% silk self tie bow tie the perfect choice for anyone who loves making an entrance and leave a lasting impression.